HTC has lost its way, and we all hoped the HTC 10 would see it back on the path to prosperity. That didn't work out, and this year's U Ultra wasn't a good enough phone to lead HTC anyplace it wants to go. That leaves this leaky new flagship phone, previously known only as the HTC Ocean. Now it's being teased as (probably) the HTC U. It doesn't have the ticker display of the U Ultra, but the U has a trick of its own—it's a more huggable smartphone. All HTC has revealed so far is a 5-second video attached to this tweet. With the tagline "Squeeze for the Brilliant U," we can assume this confirms the rumored pressure-sensitive frame. You can squeeze (or hug, if you will) the phone to trigger various actions. And indeed, the disembodied hand in the video gives the phone a little squeeze. Previous leaks have pegged this phone as flagship material with a Snapdragon 835 SoC. The U Ultra only managed a Snapdragon 821. 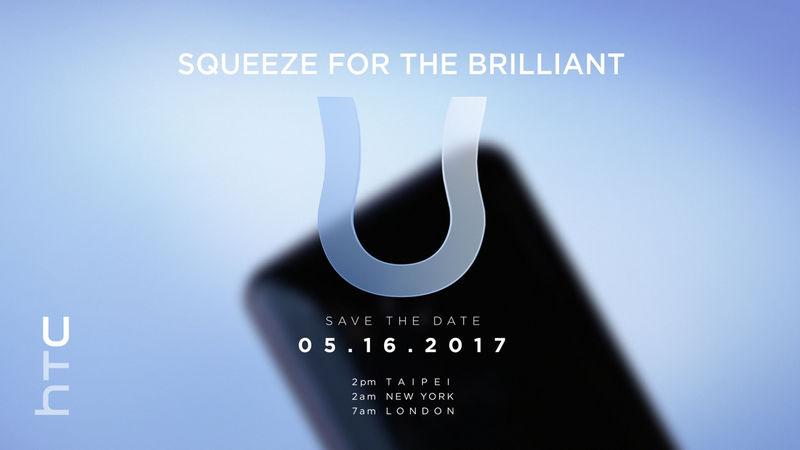 HTC also included the 5/16/17 date in the tweet, which is when the device will be fully unveiled. There will be a live stream at 2:00am Eastern / 11:00pm Pacific (May 15th). Mark your calendars.